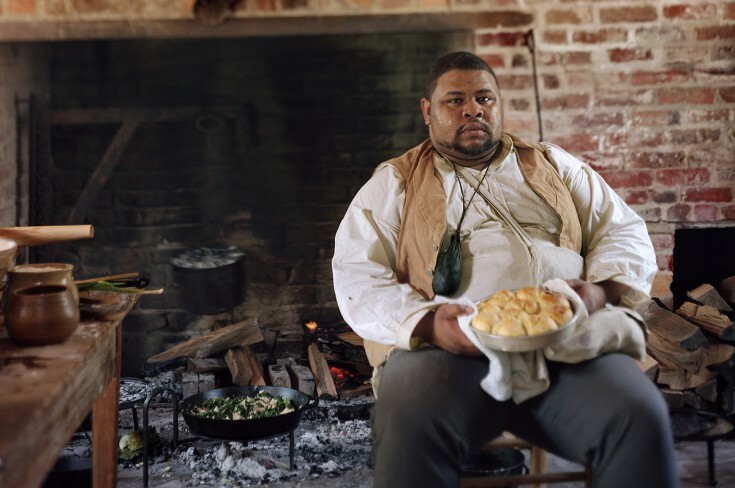 What judgments do we make about the food in a restaurant based on what the people there look like? "We depend on all kinds of cues [in restaurants]: who else is eating, who is cooking, who is serving." says Professor Krishnendu Ray, chair of NYU's Food Studies Department and author of "The Ethnic Restaurateur." In the second episode in our special series, Who Is This Restaurant For?, we explore what the people we see in a restaurant -- both staff and customers -- tell us about a place. First up: Ken Lin (shown at top), frontman for the satirical rap metal group Notorious MSG, discusses his experience making sushi in a Japanese restaurant in suburban New Jersey. When Ken applied for that job the summer after he finished high school, he didn't have any cooking experience and he didn't know anything about sushi -- except that he liked to eat it. But Ken is Chinese-American, and he figured that might give him an advantage. "I was like, I got this one. I’m Asian and it’s a sushi restaurant. … I had no qualifications," he recalls. "So I walked in and sure enough, they hired me on the spot." 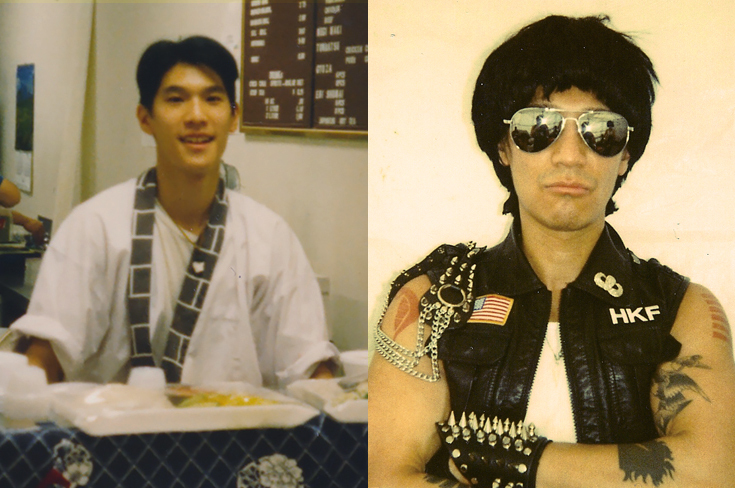 But Ken (above left at work in the sushi restaurant, and above right as Notorious MSG frontman "Hong Kong Fever") didn't anticipate the uniform he would have to wear -- or the fact that most of his white, suburban customers would assume he was Japanese. "I had to wear this little robe kimono thing. It felt a little bit like a chicken outfit...it didn’t make me beam with pride," he says. 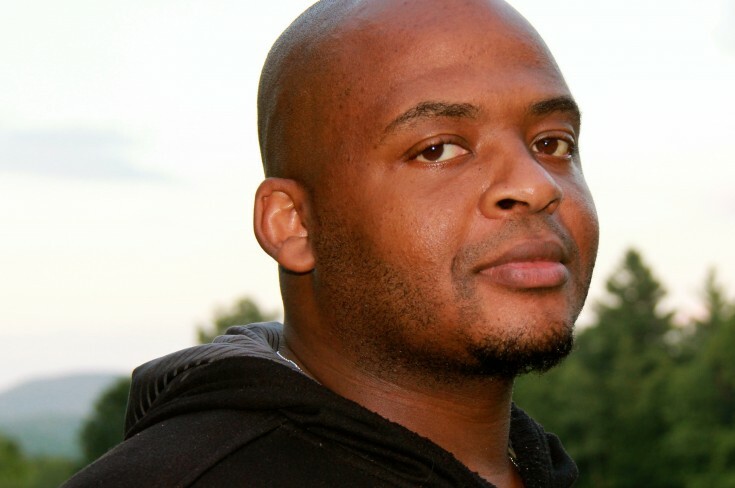 "I was performing my ethnicity to a certain extent, which was strange to me." 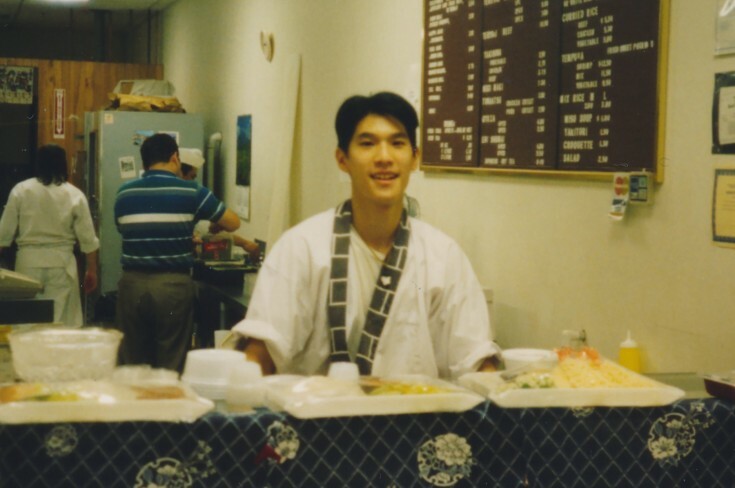 According to Professor Ray, Ken's experience is common in all sorts of restaurants in America -- from Vietnamese restaurants run by Cambodian immigrants and Mexican restaurants run by Salvadorans to Nepali chefs in Japanese ramen shops and many others. 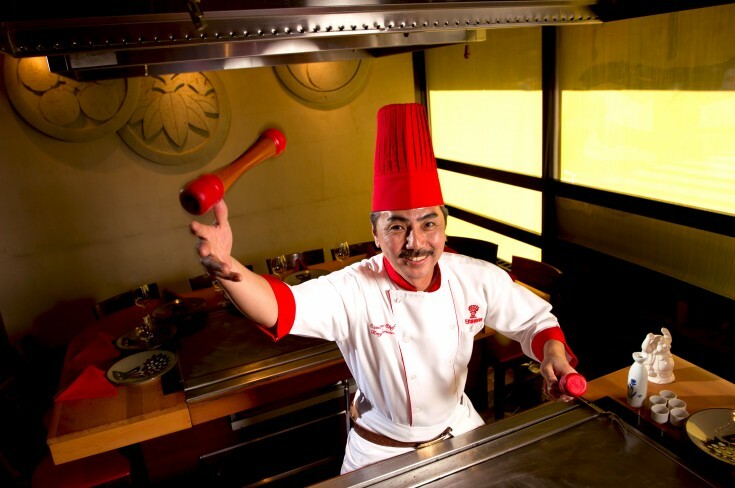 "If you go to an Asian restaurant, the expectation of authenticity is that the servers should be Asian-ish," he says. "That's the expectation of a largely white audience who would think that having sushi made by an Asian-looking guy is more authentic." Such "ethnic playacting" can be problematic, but it's not always bad. "Identity is partly performance," Professor Ray notes. "The performance of being an Asian allows [Ken] some access to a resource -- in this case, a job." So Ken got that job making sushi because he fit the part. But what happens when a restaurant worker breaks the mold? 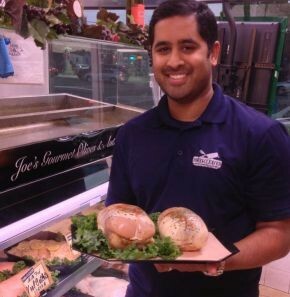 Kal Gullapalli (above) worked on Wall Street for years, but he always wanted to get into the food business. When he finally left finance, he bought an Italian butcher shop in a town called Malverne, not far from New York City. Kal thought the shop was a good business opportunity, but he knew it wouldn’t be easy. 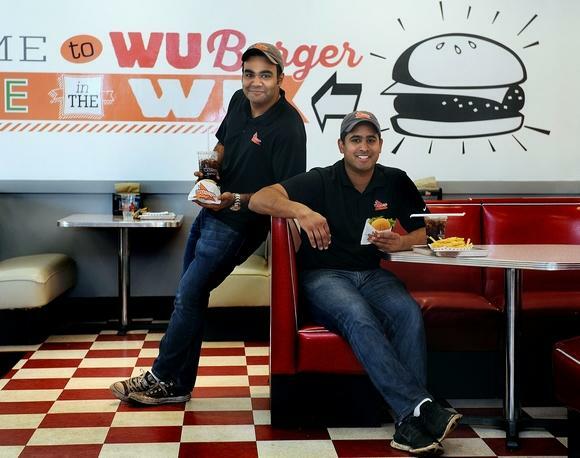 "Being Indian-American and not knowing anybody in [Malverne], I was scared," he recalls. "People are inherently prejudiced. And when any race takes over a [business] that historically was run by someone of Italian descent, the first thing they’re going to think is, 'Wait, is he going to change this?'" After a customer accused him of putting curry powder in the chicken marinade, Kal realized he had to keep a lower profile in his own shop. "I’m not a front of the house guy -- I’m more of a behind the scenes guy," he admits. "But I also know that the business is better off with me in the back."